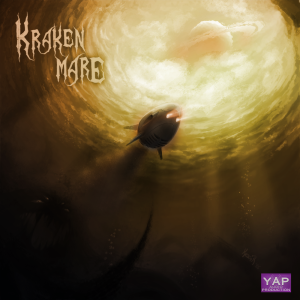 This week, we take a dip into the chilly methane seas of Titan with “Kraken Mare”, an atmospheric sci-fi horror thriller from friends of the show Matthew McLean and Robert Cudmore of the Audio Production Podcast. When plucky British astronauts descend into Kraken Mare, the largest sea of Saturn’s strangest moon, they don’t know just what they’ll find. And they certainly aren’t expecting what’s about to find THEM.